Both fireplaces and wood burning stoves will need to be kept clean and free of obstacles to keep them in well-working arrangement and safe. By eliminating harmful by-products from the flame that develop in a chimney, like highly flammable creosote, the prospect of a chimney fire and smoke/gases leeching into the living area. 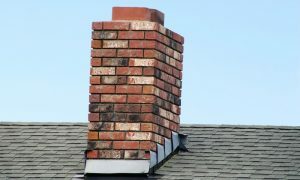 Chimneys should be inspected and cleaned at least once annually but might require more frequent cleaning depending on how frequently it's used. Should you ever notice build-up in the chimney or even a glazed creosote finish have the chimney inspected immediately to avoid the risk of smoke damage or home fire. Creosote naturally occurs from burning wood. As cool smoke climbs through a chimney the residue condenses on the interior walls, creating black, oily creosote. This material is an issue as it's highly flammable and may develop into a couple inches thick when not cleaned out properly. This build-up can cause smoke to flow into the living room or a chimney fire; creosote is your primary cause of chimney fires. The elimination of creosote depends upon the length of time it's been around. Fresh creosote can be brushed off by us, your Calgary chimney cleaning experts. Creosote naturally occurs from burning wood. As cool smoke climbs through a chimney the residue condenses on the interior walls, creating black, oily creosote. This material is an issue as it's highly flammable and may develop into a couple inches thick when not cleaned out properly. This build-up can cause smoke to flow into the living room or a chimney fire; creosote is your primary cause of chimney fires. The elimination of creosote depends upon the length of time it's been around. Fresh creosote can be brushed off, whilst creosote that's built-up requires using chemicals to dissolve the hardened material away. 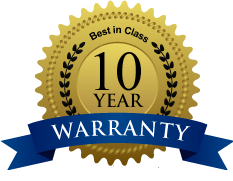 The best thing to do is call your preferred Calgary chimney cleaning company, Alpine Eavestrough. Alpine Eavestrough offers full chimney inspections to test for cracks and leaks that might cause the chimney to under-perform. We realize that attention to detail is of the utmost importance when it comes to chimney inspections to avoid major disasters. Calgary chimney cleaning is an important element to a chimney's health which is frequently overlooked. These caps prevent any moisture from getting into the inside of the chimney and causing it to quickly deteriorate. 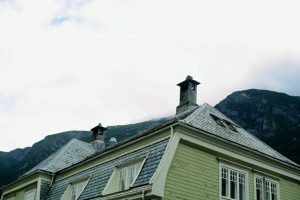 In order to avoid an unnecessary chimney replacement and further expenses, we always advocate chimney caps to Alberta residents. When smoke enters the living space of a home, it poses a danger to the health of the occupants and potential smoke damage. There are many reasons for the smoke to trickle from a chimney and Alpine Eavestrough has immense experience which will help identify the problem quickly and fix it.